In another few weeks, the leaves in Southern Ontario will start to lose the green of summer and put on their colourful autumn coats. It's a splendid affair. Much heralded. A spectacle to behold. Alas, it also announces that winter is not far off. 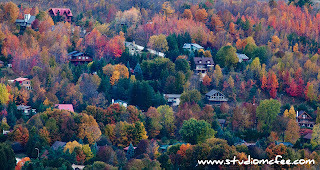 But, for several weeks, Southern Ontario will be ablaze with colour: Reds, oranges, yellows mixed with the greens. On a clear sunny day, it is a magnificent sight. 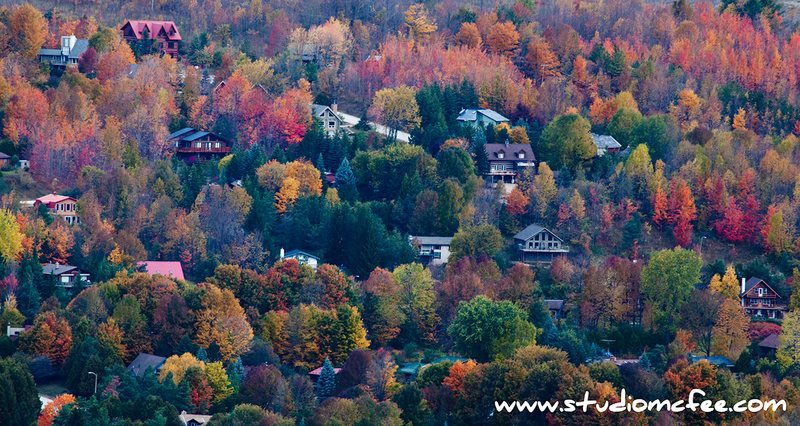 Canadians tend to take autumn colours in their stride. The leaves are interesting but, after all, we see them every year. It is an entirely different matter for people unaccustomed to this event. A student from Colombia, who was staying with us for 14 months, was amazed not only by the changes in colour but also by the leaves falling from the trees creating drifts of browns, golds, yellows and reds. A month or so later he experienced drifts of a different kind. Two surprises. We embrace the arrival of autumn but when it departs we aren't quite so affectionate.